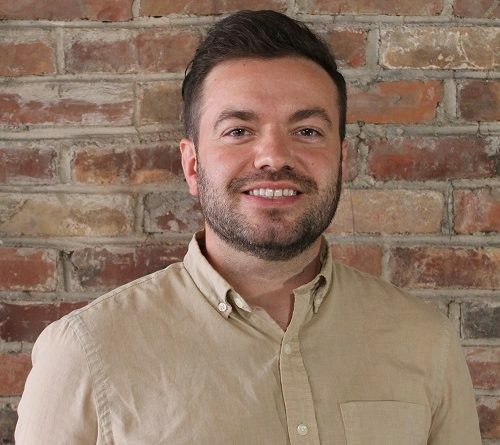 ROCKLAND — Thomas Tash, who worked as a marketing strategist for Dream Local Digital from 2014 to 2016, has returned as the digital marketing agency’s marketing manager. Tash, who lives in Winthrop, rejoins Dream Local Digital after leading the marketing departments for two innovative Maine startups: Chimani, a Maine-based developer of national park mobile apps; and Cirrus Systems, a manufacturer of LED technology located in Saco. “I’m excited to be back with the team at Dream Local Digital in this new role. The company has seen incredible growth year over year and I’m looking forward to bringing the knowledge and experience I’ve gained to our stellar arsenal of marketing solutions,” said Tash. “I couldn’t be more excited to have one of our former teammates return to Dream Local Digital. Tom was a great asset when he left to pursue new career opportunities, and I am thrilled with the knowledge and expertise he is bringing back from his experience working with the other organizations. Tom will add great bench strength to our marketing team. I look forward to great things to come,” said Dale Landrith, chief strategist. Dream Local Digital is a digital marketing agency specializing in interactive media, marketing, social media and SEO. Dream Local Digital works with publishers, media companies, ad agencies, and directly with businesses on all aspects of their online marketing plans, from website development, content strategy and social media to search engine optimization, paid ads for search and social networks, reputation management and email marketing. Subscribe to the Dream Local Digital blog to keep up with the latest trends and insights from their team of experts. You can also learn more about Dream Local Digital’s culture and see what it’s like to be a #HoneyBadger.